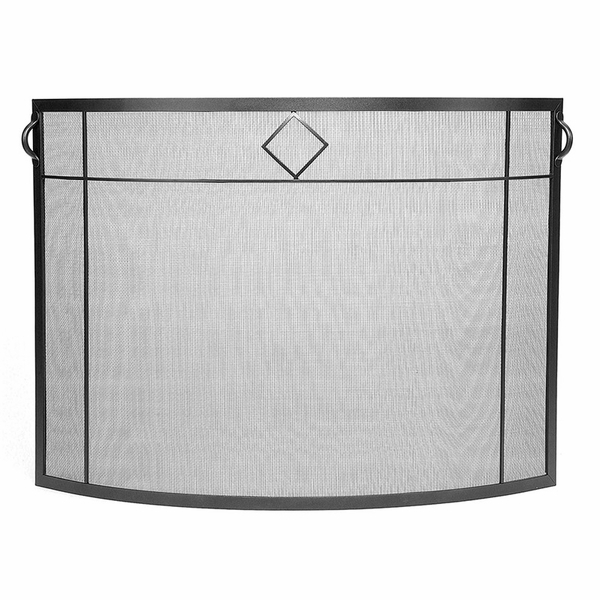 For a clean and simple look that will enhance both modern and traditional home decor, this graphite finish metal mesh screen is the perfect solution for keeping sparks and embers from damaging your floors or furniture. The diamond emblem centered on the screen adds a unique touch to an otherwise plain fireplace screen. Because it has no handles or feet, the minimalistic mesh screen curves around to securely cover your fireplace opening. Check out other models for screens that have folding side panels or the traditional 3-part folding screen style. What is the depth of the curve? The curve of this screen is 9" deep.